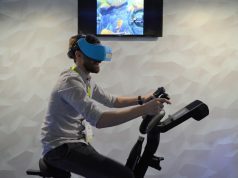 In VR however, fully-tracked motion controllers mean that it is impossible (assuming a properly designed game) to ‘cheat’ the system in this way, and players really do need to perform appropriate motions to succeed in virtual sports and action games. Racket: Nx and Rec Room’s Disc Golf are great examples, as similar racket and disc-throwing games on the Wii could be easily played while seated, with just a slight flick of the wrist. Try that in VR, and you’ll struggle to play, let alone win anything. 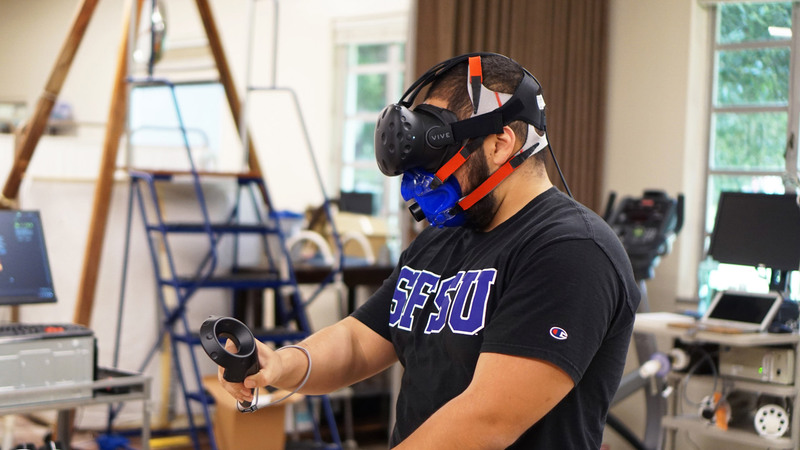 The games expect and reward physicality, and in any case, the level of immersion in VR is so much higher that players are naturally more compelled to move. 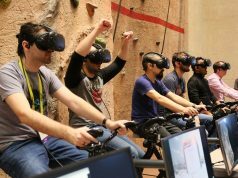 Thus, the potential health benefits of VR is likely much higher than traditional gaming. If you want a little bit more sweat than usual… try Alien Isolation in VR. There are nicer ways to go insane, thanks! maybe if you want to poop yourself. I feel like their rating for Sword Master VR is too low, but Thrill of the Fight and Holopoint seem accurate to me. Thrill of the Fight leaves me gasping on the ground after one fight. So when you write calories you mean kcal as in kilo calories? Otherwise I’m certainly burning more calories writing this petty correction than playing Thrill of the Fight for a mere second. …and you could eat 1000 packages of Twinkies without having to worry about even a single pound of weight gain. At least in everyday usage in the US, a calorie IS a kilo calorie. I rarely see anything marked with “kcal”, even when though that’s what they’re actually referring to. ;) marking food with just calories instead of kcal whould certainly be inviting a lawsuit. How many kcals is, say, a typical sugary drink, in Germany? Also, the prefixes don’t usually matter if you convert them correctly. Saying 1000 calories instead of 1 kcal won’t create a lawsuit, as they are same thing. In Germany you’ll have always the information about the energy food holds in kcal (Kilocalories) and kJ (Kilojoul) as well as how much fat (+saturated fat), carbohydrats (+ sugar), protein, salt and about everything else is in it in g (Gramm). 100 ml Coke has 42 kcal (42.000 calories). So you’ll have 420 kcal per Liter and in a Gallon that whould be about 1590 kcal. Ok I understand now. I can now admit that it’s a little weird that we (the US) just call them calories, but I guess it’s not that weird since we use so many other different standards as well. Yeah… the only thing in VR that’ll be better exercise than a real treadmill will be a virtual treadmill while you’re running on a real one. I’ve played lone echo for 4+ hours straight and the only place i was sweating was my head from the headset. Thrill of the fight was the only VR experience that I felt a bit tired from doing and that was only when I first got it and I was swinging nonstop like an idiot. Any fighting should be good exercise. The game Gorn really made me sweat. My arms hurt. So… VR can be the new Wii-Fit? Except you won’t abandon it after a short amount of time.